While I typically use my Google Assistant to play music, control my lights and set timers, it’s easy to dream about what else could be possible—like an Assistant that could help organize my sock drawer or bring me a cold drink while relaxing on the couch. 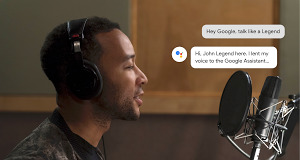 While on its own the Google Assistant isn’t there just yet, with some creative makers and developers, it’s well on its way. The Google Assistant is available across all kinds of devices—from speakers to phones, TVs and more. 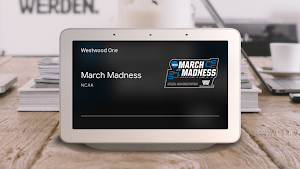 Until recently, device makers big and small had to use the same Google Assistant regardless of whether they were making the Assistant work with phones, fridges or lights. Starting today, thanks to a new feature for Actions called Custom Device Actions, device makers can extend the Assistant and add “native” functionality specific to their device. For example, if a washer has a specific color cycle, you could activate that cycle simply by asking the Google Assistant. To showcase some of the imaginative ways people are using Actions, we’re building a Google Assistant Fun House at SXSW. If you’re in town, you can take our voice controlled sock sorting robot for a spin and test out our couch potato-optimized beer ordering system (yes, we actually built these). Better media playback. Starting today, Actions will support media playback on speakers and Android phones, giving you access to more audio experiences like longer meditation sessions, relaxing sounds, clips from your favorite TV shows and news briefings. 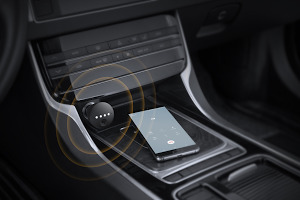 With this update, you can also easily pause or replay audio with your voice, or when you’re on your phone, you’ll see a media player you can tap to pause, replay, or even turn the screen off while the audio keeps playing. With The Daily Show Action, for example, you can listen to the latest full and extended interviews. New Actions. We recently launched a handful of new Actions for the Assistant, so if you’re in the mood for some inspiration, to listen to music, a quick trivia game or a good laugh, give these a whirl: American Idol, Trivia from iHeartRadio, Calm, The Mindfulness App and more. We hope these new features help you stay up to date with your favorite Actions and media. And if you’re in Austin this weekend, see you at the Fun House at 1301 E. Cesar Chavez, Austin, Texas 78701.